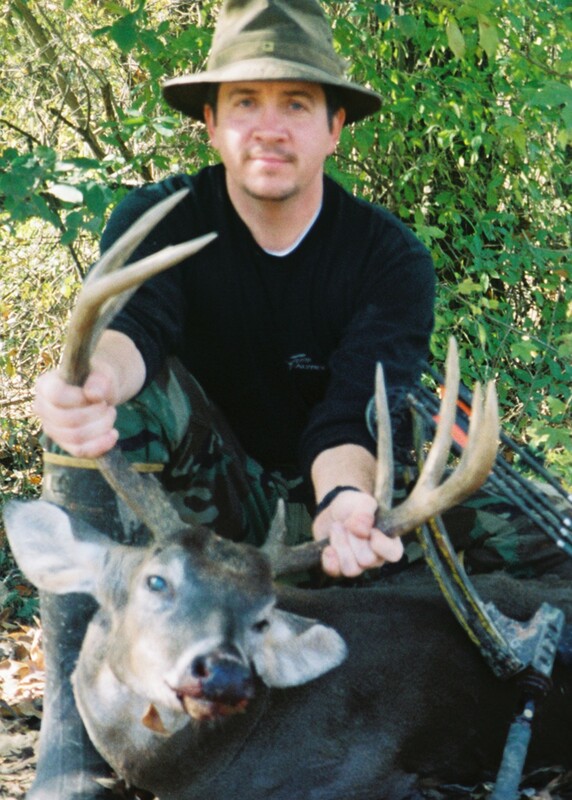 The Arkansas Bowhunter: 5 Tactics for Refuge Whitetails. Urban hunting?...Not me. No way. intercept this heavy racked 9 point. Tiny, claustrophobic cubes of remnant forests where slamming doors and car horns drown out honking geese overhead have never appealed to me. I want big. I want wild. I want big enough to get lost in. As a hunter who obsesses over the adventure of the hunt more than the kill, I'm drawn to big forests devoid of artificial advantages created by man. 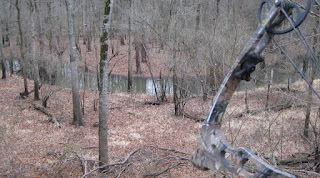 But big forests, not yet carved up or cleared by dozers and plows, can challenge modern day bowhunters. Without man-made funnel like effects of hedge rows, barb wire fences, agriculture field lines and corn piles....many simply don't know where to begin when faced with 160,000 acres of untamed river bottoms. Any one tactic by itself could put a refuge whitetail in front of me ... but the more I combine into one stand location the better. Pinch point -North Unit of the refuge. 1. Locate natural "pinch points" and "bottle necks". With over 300 lakes on the refuge, consult your topo map to zero in on natural pinch points created by lakes, streams and rivers that lay in close proximity. 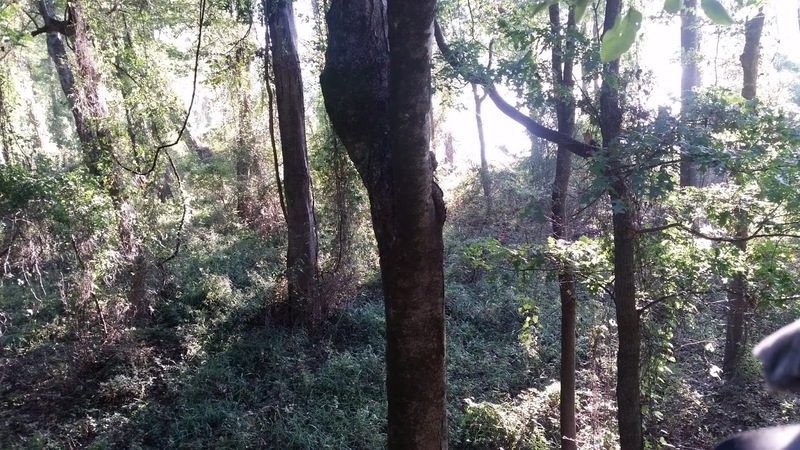 Locate your stand inside these natural funnels to intercept traveling deer. Lush vegetation along rivers edge. 2. Hunt South Facing River Bluffs. Natural forest openings carved out by the river allows sunlight to reach the forest floor 30 or 40 yards beyond the river bluff, especially those South facing. This natural occurring “edge effect” created by bluff openings produces a never ending solar powered buffet of greenbrier, honeysuckle and other browse for hungry whitetails. 3. Know Preferred Food Sources. Persimmons: Silence interrupted by the sound of a ripe persimmon slapping down through overhead leaves as it torpedoes to a sugar bursting thud onto the ground beneath my treestand is the ultimate confirmation of my refuge setup. If you're lucky to find one loaded down, (or even better, a group of them) you've got a hot spot. Loaded Persimmon trees are favorite "hot-spots"
tree I looked under was littered with feeding activity. What's up? Deer are creatures of habit and security so I suspect that once they find a tree dropping acorns they utilize it to the exclusion of others, bedding near by and returning to eat at their leisure. 4. Ditch the Public Land Crowds. I'm amused by hunters who complain about too many hunters on public lands yet they never get the connection between roads and crowds. For a host of reasons, these "average Joe hunters" never venture far from access roads and ATV trails. Maybe it's fear of getting lost, dread of packing an animal out, or general laziness. Bottom line is, the further you distance yourself from access roads and ATV trails the more likely you will find undisturbed deer habitat. 5. Sit Tight. If you hunt public lands it's inevitable, that in spite of your best pre-hunt planning and scouting, you will sometimes find yourself encroached by other hunters. When it happens ... don't sweat it.. just sit tight. Average hunters are too impatient to sit long. 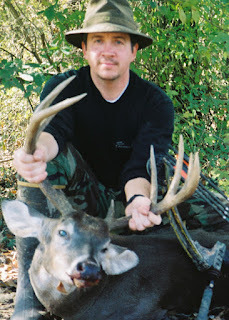 Never confident in their stand selection, as daylight cracks they are soon out of their stands, aimlessly wandering and stirring up bedded midday deer that they never see..... right past your stand. Good luck and enjoy your Big Woods hunting adventure.